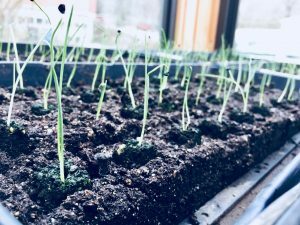 2019 Summer CSA signup is now open! The term “CSA” stands for Community Supported Agriculture, and it represents a system where consumers can have a close relationship with the farmers that produce their food. By pre-purchasing “shares” of the upcoming season’s crop, you’re investing directly in your food and cutting out the middleman, and in return you receive fresh local produce throughout the season. CSAs are growing in popularity around the world because they create direct, personal connections between farmers and consumers. You’re not buying from some mega-corporation that’s hiding behind a marketing team, and you know exactly where your food is coming from and how it’s grown. 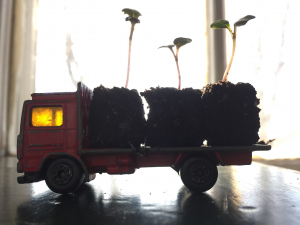 What does it mean to join a CSA? When you join a farm’s CSA program, you purchase a seasonal “Membership” or “Share” that entitles you to a box of fresh produce every week for the duration of the program. We pack the boxes with a wide variety of produce, you’re not just getting a pile of kale 😉 , and substitutions are welcome if you’re picking up at one of the farmers markets. We always ensure that the market value of the produce is greater than what you’re paying for the share (in other words, you get more food for your money!). 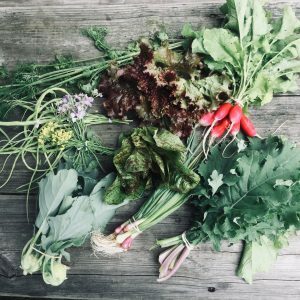 Our summer CSA runs for 20 weeks, from June to October, providing you with a variety of the highest quality vegetables and orchard fruit every week. We grow everything on the farm, in the soil, using organic practices. We are members of CT NOFA, which is a wonderful organization that promotes organic agriculture. 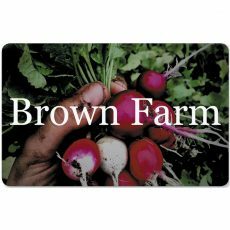 Our goal is to build long-term relationships with all of our members, to grow our “farm family”. We encourage all CSA members to find time to visit the farm and see where your food comes from! 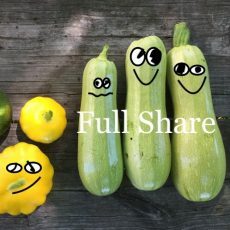 Farmer’s Choice – Full Share – $560 ($28 per week) – packed for a family of 4, or a couple who is addicted to vegetables. 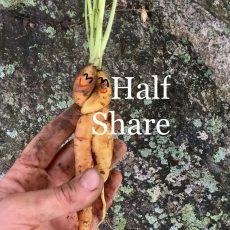 Farmer’s Choice – Half Share – $280 ($14 per week) – good for 2 people, or as a supplement to your garden. Flexible Choice – Reloadable gift card that can be used for anything at our stand at the Willimantic Farmers Market. 10% off during CSA enrollment! To sign up for our CSA, please choose an option (above) and add it to your cart, then proceed to your cart and checkout. You will have the option to pay immediately by credit card, or to mail a check.